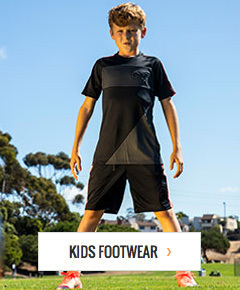 Known for being exceptionally soft, kangaroo soccer shoes offer unmatched comfort and touch on the ball. This type of leather stretches to mold to your foot, meaning they are a great choice for players with wide feet. Some of the soccer's most legendary footwear styles including the adidas Copa Mundial and Puma King are kangaroo leather cleats that have been trusted by iconic players in the game. Today, kangaroo leather cleats are offered in a wide variety of styles and colors to ensure you find exactly the pair you're looking for. Shop soccerloco now to save on a pair of kangaroo leather soccer shoes before they're gone!